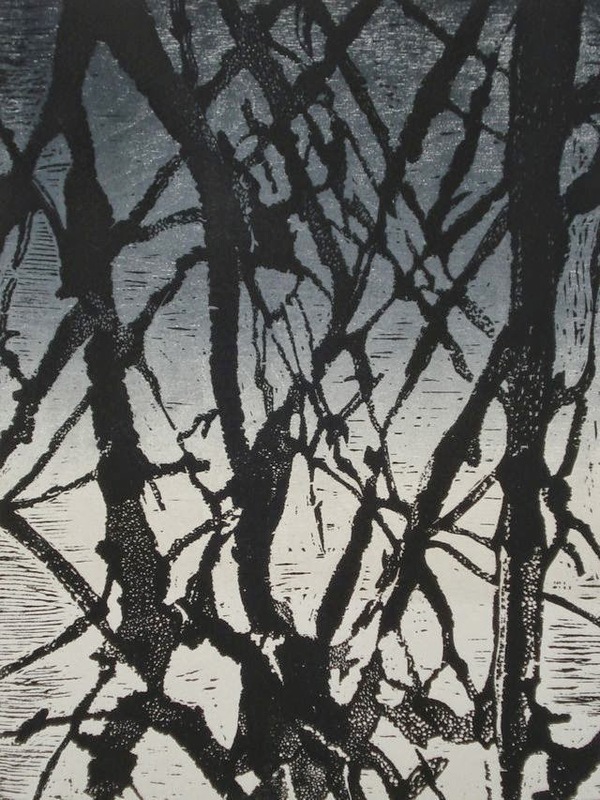 Richard Borowski, "Winter Trees", woodcut, 24" x 18"
Nine artists featured in our front gallery present exceptional work, expressive in voice and media, ranging from dramatic wood cut prints, six foot gel transfers, mixed media sculptural reliefs through to evocative paintings in acrylic, oil and watercolour. Juried. Although limited by size, these small works by our Visual Arts Alberta – Carfac membership bring power and punch to the front line. These works bring the magic of multiple views /investigations and discoveries of the world we live in out of their studios and into our lives.